Established as the Japan Hospital Association in June 1951, the Japan Hospital Association has conducted its activities by working in conjunction with all employees under the direction of former presidents from Dr. Shusuke Kamijo, the first President, to Dr. Shuzo Yamamoto the tenth President, with the aim of "improving hospitals and fulfilling their mission, as well as contributing to the promotion of social welfare". Throughout this period, the Japan Hospital Association had continually aimed at "establishing medical ethics" and "improving the quality of medical services in hospitals." However, now that 60 years have passed since its establishment, the environment surrounding medical services has largely changed because of a decline in the birthrate, an increase in life expectancy, a change in the disease structure and the so-called "collapse of medical services" and other reasons. In order to respond to such changes and other matters, the Japan Hospital Association has also made some innovative changes. 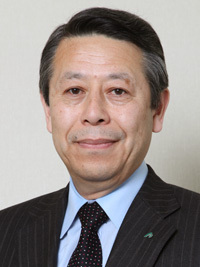 As a result of the reform, the organization structure itself changed into the General Incorporated Association Japan Hospital Association on April 1, 2012. On this occasion, the Japan Hospital Association has newly established the "Code of Ethics" in relation to the "establishment of medical ethics. "Regarding the "improvement of medical services in hospitals," the Japan Hospital Association will continue operations that aim to secure the "quality of medical care" and the "quality of management". Furthermore, the Japan Hospital Association intends to strengthen policy proposals by promoting "visualization". As it is said that "New wine should not be put into old bottles," the Japan Hospital Association will use its efforts to establish ideal social welfare and medical services that it will require in 2025 by acquiring a new building for the Japan Hospital Association on this occasion of the 61st anniversary of its establishment and becoming a general incorporated association. We cordially request all members for their continued understanding and support.